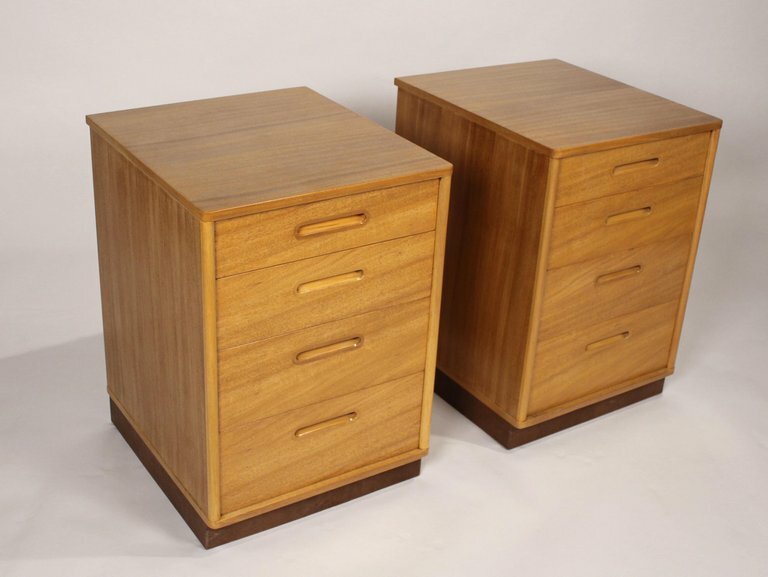 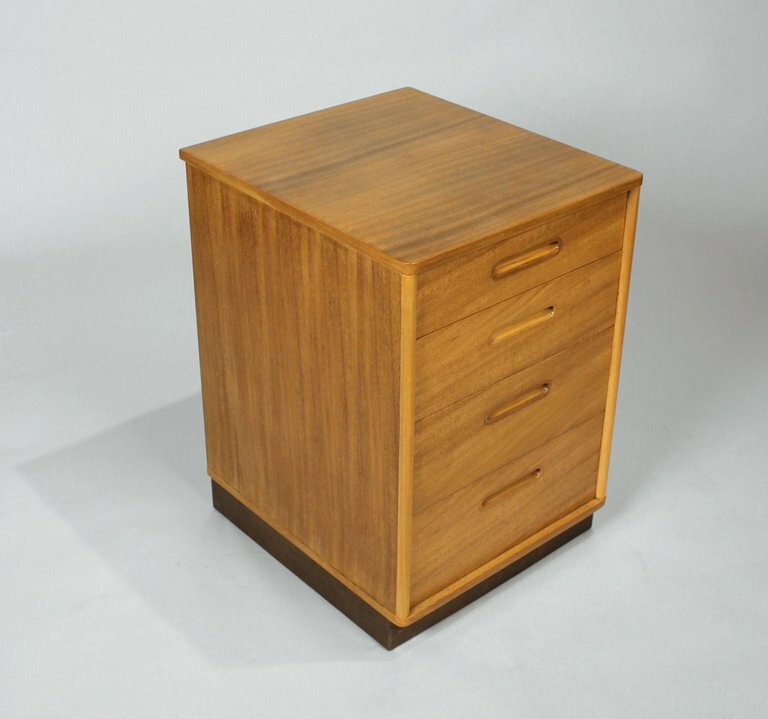 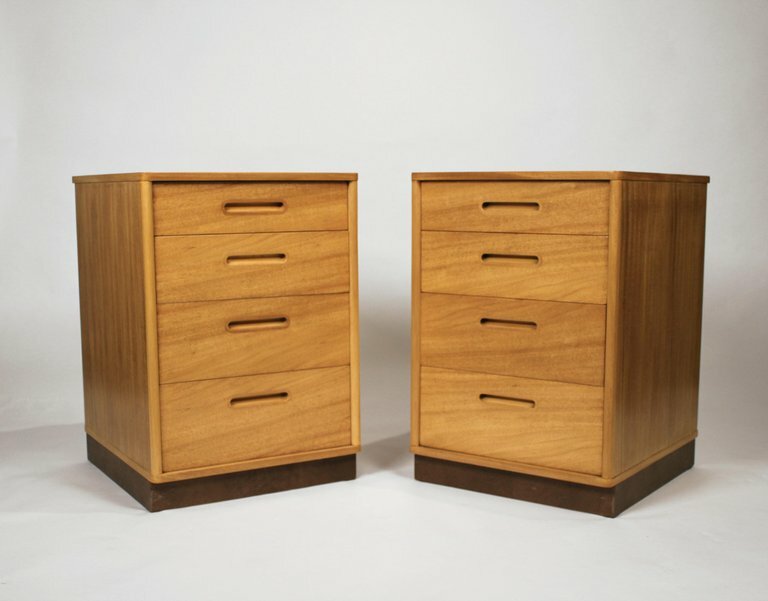 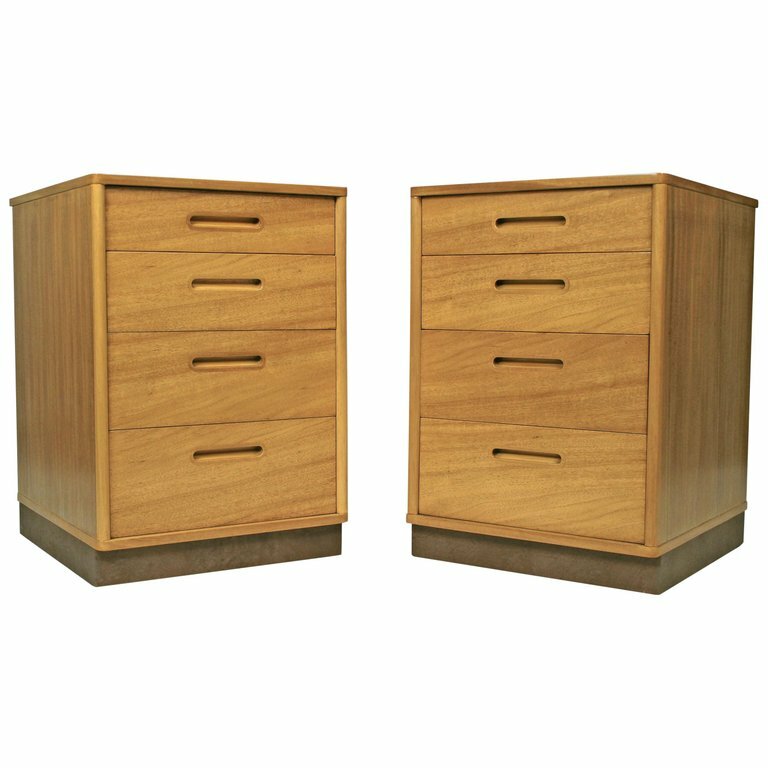 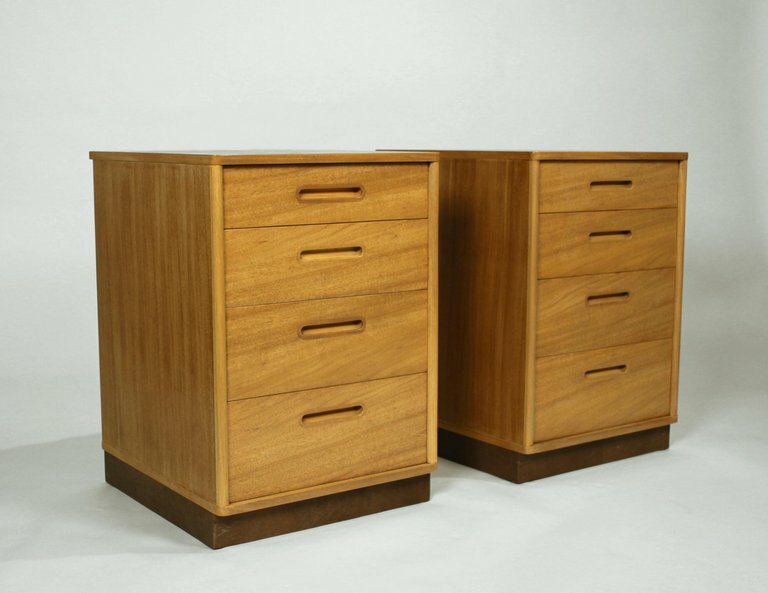 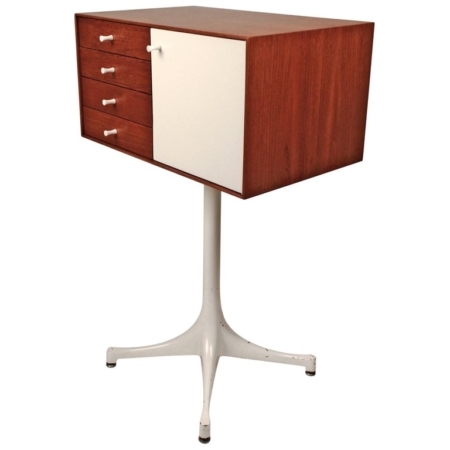 Early minimalist nightstands designed by Edward Wormley for Dunbar. 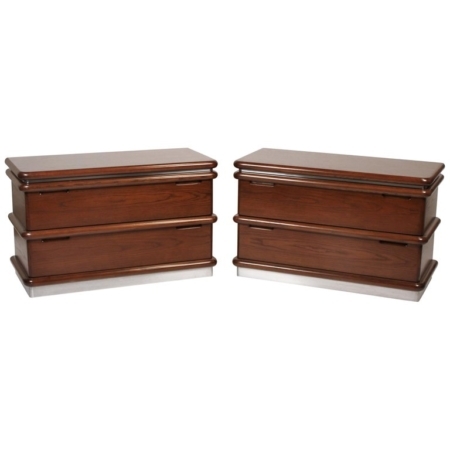 Beautiful bleached mahogany cases with inset matching hardware and leather wrapped bases. 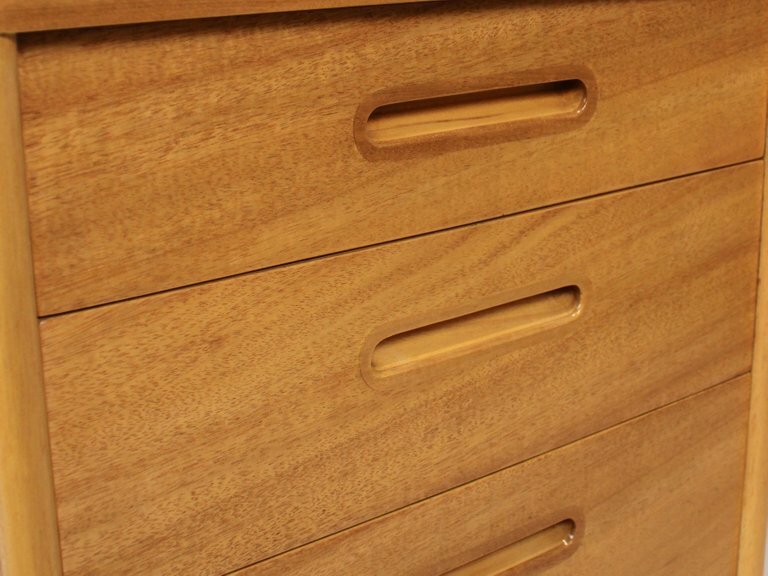 Completely refinished.